Marcia R. Craner launched Cameron & Associates in January 2014 to leverage 35 years of experience in nonprofit advancement and fundraising. She is an Instructor in the College of Community & Public Affairs at Binghamton University, State University of New York. Ms. Craner created the syllabus and curriculum for a first of its kind course at the University, “Organizational Advancement and Fundraising”. The course is tailored to students enrolled in the Master of Public Administration and Masters in Student Affairs Administration programs. 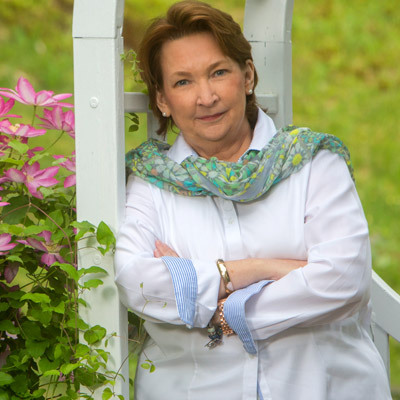 A proven and creative professional, Marcia R. Craner has decades of experience in public higher education advancement, with 30 years of that time at Binghamton University (State University of New York). As the former Vice President for External Affairs, she was a senior officer and led one of the University’s five divisions, with responsibilities that included University communications and marketing, alumni relations and the Alumni Association Board of Directors, principal and major gifts fundraising, development and advancement operations and the University’s Foundation and Foundation Board of Directors. She oversaw a division of 70 employees and served as Executive Director of the Binghamton University Foundation for 22 years, a $150 million institutionally related foundation with an endowment of $90 million. Ms. Craner led the University’s second comprehensive gifts campaign, Bold. Brilliant. Binghamton — The Campaign for Binghamton University, which concluded June 30, 2012, and raised $101.2 million. Prior to her tenure at Binghamton University, she was Director of Alumni Relations and Assistant Director of the Annual Fund at Geneseo College - State University of New York. Ms. Craner specializes in the evolution of advancement initiatives from the beginning stages into comprehensive and robust programs. She has significant expertise in recruiting and managing staff, working with volunteer Boards of Directors, program development, strategic planning, and all areas of fundraising. Throughout her tenure at Binghamton University she raised hundreds of millions of dollars through collaboration, dedication and a strong commitment to donors. Ms. Craner helped Binghamton obtain many of the University's most significant fundraising achievements including the first campaign which raised $43.7 million, concluding one year ahead of schedule and 20% over goal, a $6 million anonymous gift, the first-ever multimillion-dollar planned gift, the first alumni gift commitment of $1 million, the first $2 million gift from friends of the University and the first $1 million raised from alumni through The Binghamton Fund, the annual giving program. Ms. Craner finished her career as Vice President, at the conclusion of fiscal year June 2013, when giving to the University rose 73% over the previous year. Other significant advancement achievements during Ms. Craner’s tenure include reorganizing the University communications and marketing program into an award-winning department, overseeing the implementation of the University’s comprehensive web presence, increasing focus on alumni and donor communications and facilitating the launch of the University’s magazine. She has a significant background in alumni relations programs and worked closely with the University’s Alumni Association Board of Directors and oversaw the Office of Alumni Relations, which represents the University’s 110,000 graduates. Ms. Craner received an MA in Social Sciences in 1994 from Binghamton University, and a BA in Art History and Communications from Geneseo College - SUNY in 1978. Her master’s degree thesis, “Coming of Age: Women and Philanthropy,” received the 2004 outstanding thesis award. She is a Certified Fundraising Executive (CFRE) for over twenty years by the Association of Fundraising Professionals and a 2004 graduate of the Harvard University Executive Leadership Program, Kennedy School of Government. Ms. Craner received the State University of New York Chancellor's Award for Excellence in Professional Service as well as the Binghamton University Award for Excellence in 1999. She was inducted into the first class of the SUNY-Council for University Affairs and Development (CUAD) Hall of Fame in June 2003. She is a former member of the Haverford College Parent Leadership Fund Committee, Haverford, PA, on the Board of Directors for the Roberson Museum of Arts and Science, Binghamton, NY and the Edward L. Rose Conservancy Marketing Committee, Montrose, PA. Ms. Craner is a published author of poetry and short stories.